Newly released flyover video footage of the 14-acre construction site in Disneyland shows an up-close look at the progress that crews have made on the site so far. 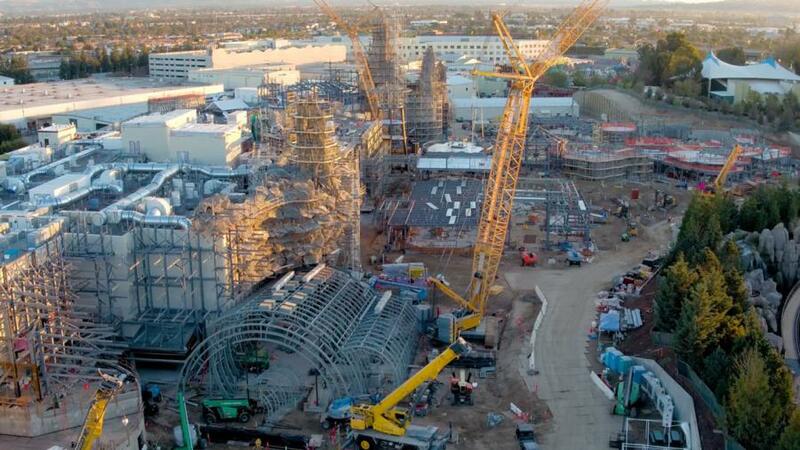 Construction is well underway at the Star Wars: Galaxy's Edge lands in both Disneyland and Disney World. Newly released flyover video footage of the 14-acre construction site in Disneyland shows an up-close look at the progress that crews have made on the site so far, including towers, mountains and other facilities that will eventually depict the fictitious planet of Bantuu, Curbed reported. A second attraction will place visitors on a Star Destroyer as they experience a battle between the First Order and the Resistance firsthand.